Description: 311 Tim Mahoney Concert Tour Guitar Pick. Band logo and cartoon. Description: 38 Special Concert Tour Guitar Pick. Band Logo. Description: Tenacious D Steve Clayton Concert Tour Skull Ram. 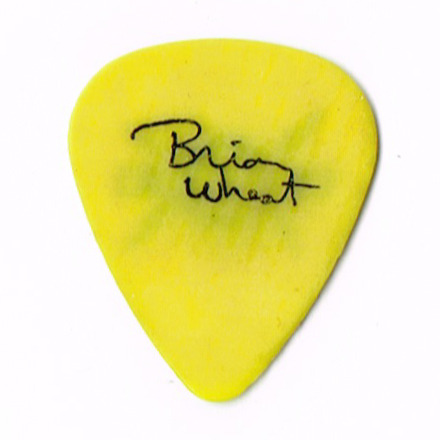 Description: Tesla Brian Wheat Concert Tour Signature Guitar Pick logo. Reverse side band logo. Description: Three Dog Night Michael Allsup Concert Tour Guitar Pick Imprint. Description: Tin Machine Tony Sales Concert Tour Guitar Pick logo. Description: Toadies Clark Vogeler Concert Tour Guitar Pick logo. 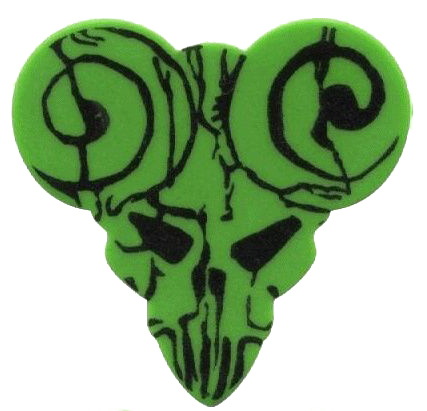 Description: Toadies Donivan Blair Concert Tour Guitar Pick logo. Description: Tool Concert Tour Guitar Pick logo. Description: Trans-Siberian Orchestra Paul O'Neil Concert Tour Guitar Pick logo. Reverse side signature. Description: Trivium Concert Tour Guitar Pick logo. Description: Tuff - Jorge Detains Concert Tour Guitar Pick. Reverse side Tuff band logo.